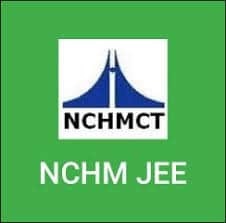 NTA NCHM JEE 2019 Admit Card Check Here. National Council for Hotel Management and Catering Technology (Society) was set up in the year 1982 by Govt. of India And it is a National Level Examination Conducted by National Testing Agency (NTA) For Admission in B.Sc Course. Candidate Can Check More Details Given Below. Last Date for Registration 15/03/2019. Last Date for Uploading the Scanned Copy of Documents 16/03/2019. Mode of Payment. Application Fee Can be Submitted through Online Mode. Candidate Must Have Passed Class 12th Examination With English As a Compulsory Subject. General/ OBC. Max 25 Years (As on 01/07/2019). SC/ ST. Max 28 Years (As on 01/07/2019). 3. Candidate Are Required to Register Before filling the Application form Already Registered Candidate Not need to Register Again. 4. Fill all the Basic Detailed to Complete the Registration form. 5. After Successful Registration System Will Generate A Login ID and Password to Proceed for the Application form. 6. Login With ID and Password and fill all the Mandatory Details in the Application form. 7. Upload the Scanned Copy of Required Documents in the Prescribed Size and Format. 8. Take Printout of Your Application Form for future Reference. 9. Online Application Can be Submitted on or Before 15th March 2019.